Netflix has ordered its first-ever musical competition series, Rhythm + Flow, the streamer announced Tuesday. 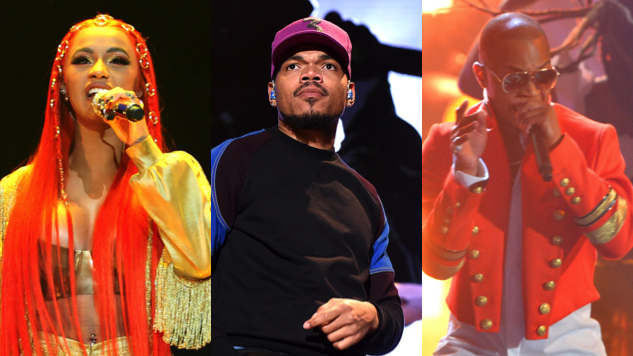 Cardi B, Chance the Rapper, and T.I. will judge the series, which, unlike singing competitions like NBC’s The Voice or ABC’s American Idol, will follow the search for the breakout hip-hop star. The trio, who will also executive produce, will judge a crop of unsigned hip-hop stars over the course of 10 half-hour episodes beginning in fall 2019. Auditions begin this fall across the United States, including stops in the judges’ hometowns of New York, Chicago and Atlanta, with “additional artists and industry VIPs” to be announced in coming weeks, including possible guest judges for different cities. John Legend, Jeff Gaspin, Jesse Collins, Nikki Boella, Jeff Pollack, Mike Jackson and Ty Stiklorius will produce. An original reality competition series seems like a solid next step for Netflix, which this past weekend released the most recent season of the British series The Great British Baking Show to much enthusiasm. The streaming giant has also proven its star-making potential with breakouts like To All the Boys I’ve Loved Before heartthrob Noah Centineo, so perhaps Rhythm + Flow will have a better track record for producing legitimate stars than, say, The Voice. Having Instagram star-turned-Love and Hip Hop cast member-turned-chart-topper Cardi B onboard as a judge also feels like a strong move, as far as setting the bar for success. Rhythm + Flow premieres on Netflix in fall 2019.